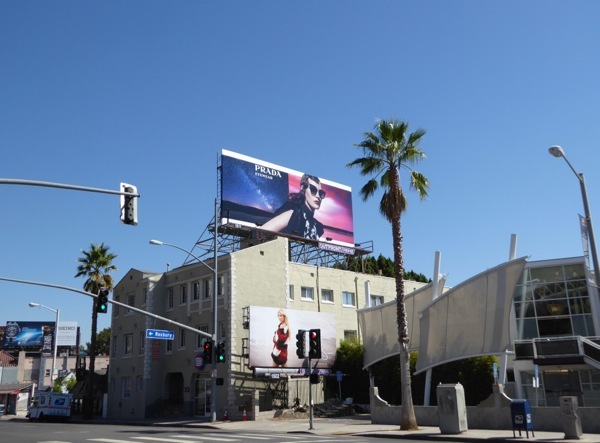 Just as you can guarantee there are alcohol ads in the skies of L.A. over the holiday season, you can also depend on the fact that there will be sunglasses billboards filling the sunny skyline all year around and not just during this gift-giving time of year. 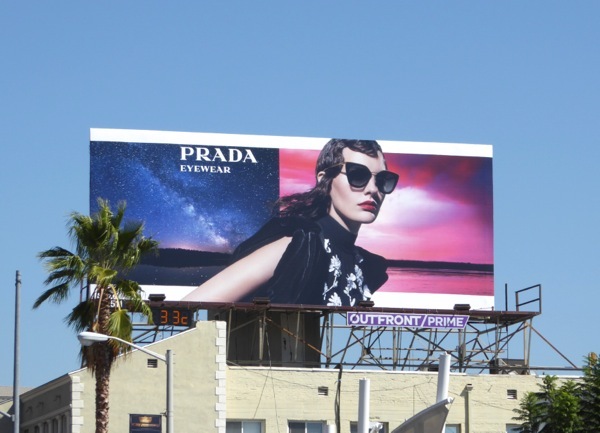 This Fall Prada Eyewear has been bringing the drama and flair with these ad creatives for their new season designer shades, featuring British actor Eddie Redmayne and Italian model Vittoria Ceretti. 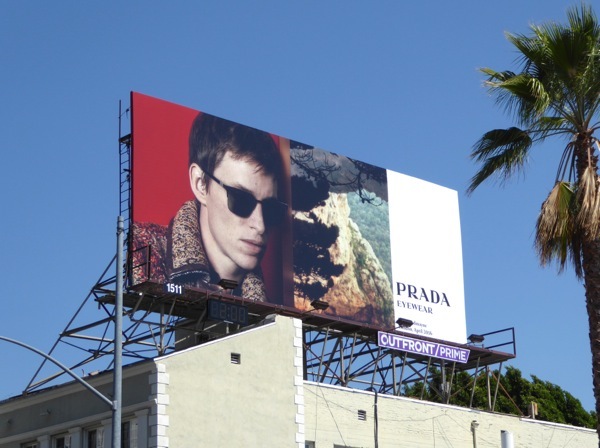 Daily Billboard loves the eye-catching background design of these ad creatives, with Eddie Redmayne Prada menswear billboard snapped along West Hollywood's Sunset Strip on September 14, and the two female eyewear billboards snapped on October 8 and November 1, 2016, respectively. 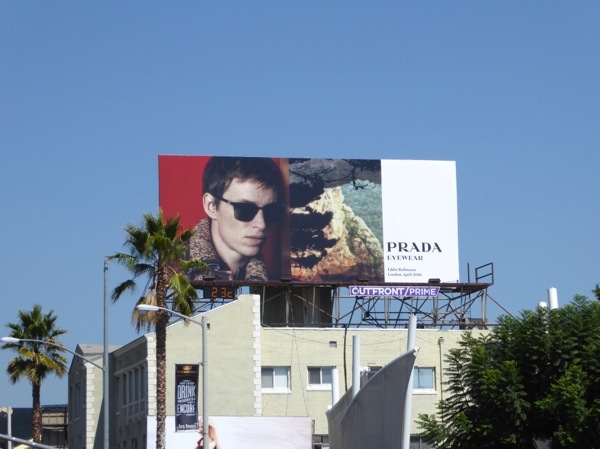 Eddie Redmayne is no stranger to modeling having been the face of Burberry in these billboards in the past, plus for more stylish Prada Eyewear billboards be sure to also check out all the previous outdoor ad campaigns for the luxury Italian fashion house from recent years. 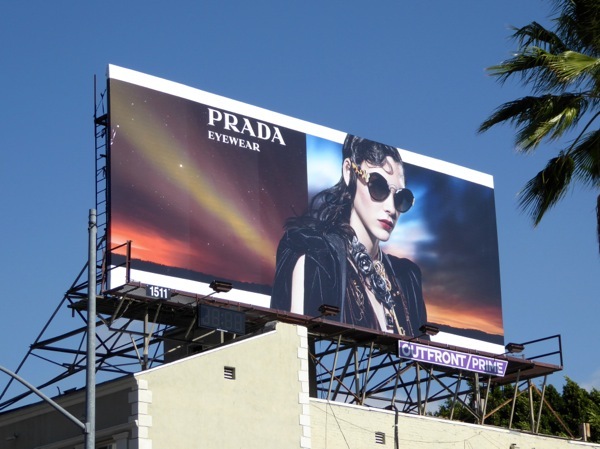 Maybe if you're lucky and have been a good boy or girl, Santa will leave a little Prada present in your Christmas stocking this festive season.